The WordPress text editor is really easy to use wether you are a redactor or a web developer. What about getting an enhanced version of this text editor offering a custom experience to each user. Check the WP Smart Editor features here or run a live demo from Addendio sandbox. Managing files like PDF or ZIP using the default WordPress media manager is really limited. WP Smart Editor includes a light version of the powerful WP File Download plugin so you’ll be able to upload, manage, update files in a really easy way. Table creation in WordPress editor require HTML/CSS knowledge and it’s almost impossible to manage table for content redactor users. WP Smart Editor includes a light version of the powerful WP Table Manager plugin so you’ll be able to create, manage, customize tables like if you are using Excel, from your editor. WP Smart Editor got an exclusive column manager tool. You can insert predefined equal columns or custom sized columns with a visual editor. Adding an action button usually require some HTML/CSS knowledge. It’s no longer the case, you can create and save a set of buttons to use and reuse everywhere on your website. Finally something to manage and save your bullet lists! You got a predefined set of icons and visual configuration to add some style on your bullet list. Plus, you can save it and use it later. 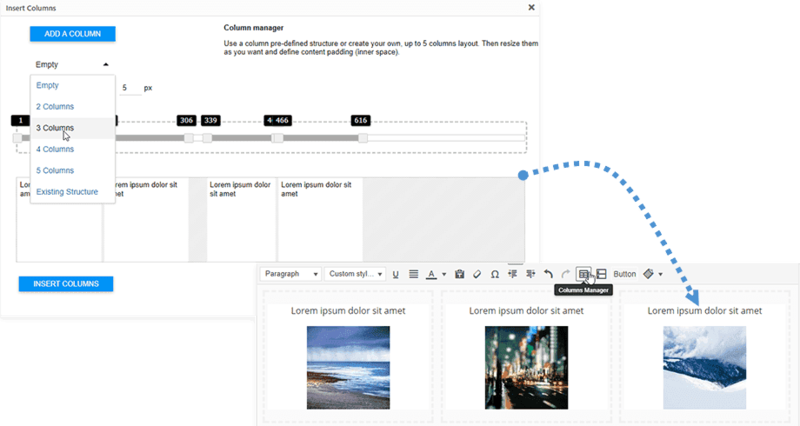 With the template manager tool you can save your layouts, all the content and HTML structure you’ve typed in your editor and reload it later in another page for example. In your long WordPress post or page you need a tool to make automatic summary like in a Wikipedia article. The summary tool will help you to build and update automatic summaries based on your article title structure (h1, h2, h3 titles…). You can add tooltip inside your content using a simple button, check this example. Put your mouse over here! When a user profile is configured and custom style defined (it takes a certain amount of time), you have the possibility to export and then import your styles in all your websites. 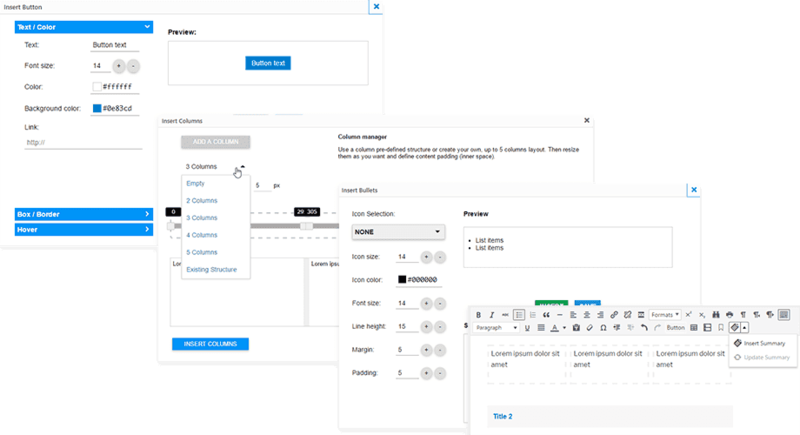 WP Smart Editor have a dedicated tool to create custom CSS styles and make them available to end users. As a webdesigner, create your own style to fit your WordPress theme, name it and let the content redactor use it when they need it. WordPress includes by default a text/HTML view in its editor. We’ve enhanced the HTML edition with code coloration​ and with a search/replace function. Search for a word or an expression and replace it all over your content.